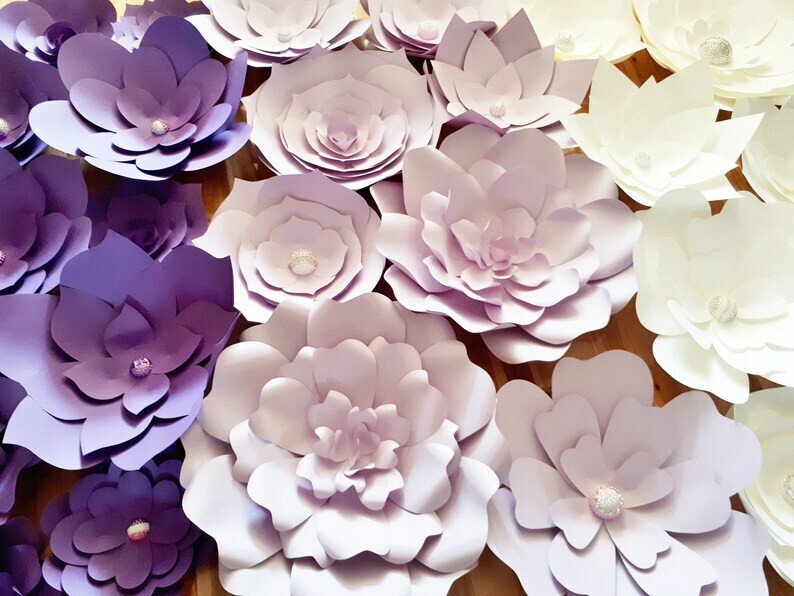 Paper Flower Backdrops are a cool and refreshing way to enhance the decor for your wedding or event. 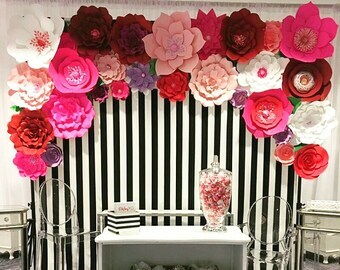 We send you the flowers and you use them to create a dream DIY backdrop for your event. Flowers come completed (no assembly required). Offering a varied look with flowers ranging in sizes of 12 inches to 30 inches with jewel and/or paper centres. 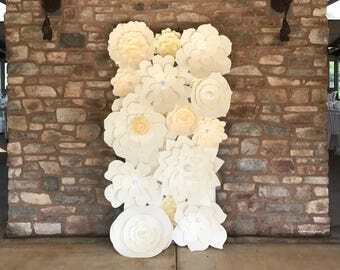 - A mix of 30 completed large and small paper flowers in up to 5 colours capable of filling a 5 x 7 ft backdrop. If more flowers are needed please contact me for a custom order.